On December, 2 during the Grand final of the “World Travel Awards” the city of St. Petersburg was awarded with the title of “World’s Leading Cultural City Destination 2016”. 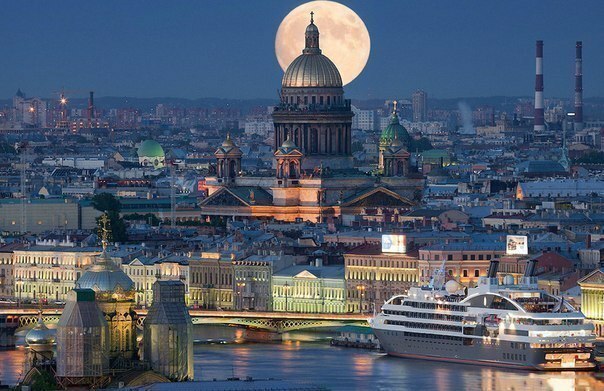 Hundreds of tourist industry experts recognized Saint Petersburg as the leading tourist and culture destination. It was an intense fight with such leading tourist centers of the world, such as Beijing, London, New York, Paris, Rio de Janeiro, Rome, Sydney and Venice in the Grand final. World Travel Awards President Graham Cooke said: “Saint Petersburg is rightly considered as “World’s Leading Cultural City Destination 2016”. A number of tourists visiting the city with cultural and cognitive purposes constantly increases. The city is promoted actively on the world stage”. Andrey Mushkarev, Chairman of the Committee for Tourism Development of Saint Petersburg, said: “Saint Petersburg is now at the peak of its popularity. The city has won the most prestigious award in tourism. The northern capital of Russia hosts a large number of cultural and business events each year and this is recognition of our growing significance in hospitality. It is the result of city authorities’ work in terms of Saint Petersburg promotion as a world tourist destination”. In September 2016 Saint Petersburg was recognised as Europe’s Leading Destination by the World Travel Awards and as the results of the European selection came in the Grand final. The World Travel Awards were founded in 1993. World Travel Awards are considered as the top achievement in the tourism sphere. Annually prizes are given after thousands of experts and tourists voted for a candidate. The selection priorities are safety, extensive infrastructure and hotel chain in destination. The awards have been called the “Oscars” of the travel industry by The Wall Street Journal.